MedMark is a large group of treatment centers that are situated at various convenient locations throughout the Western region of Pennsylvania. All of the centers that are owned by MedMark provides outpatient treatment services that are all tailored toward patients who present an addictive behavior toward substances that contain opioids. While their primary treatment plans tend to target those individuals who have become addicted to opioid-based painkillers, the MedMark Treatment Centers are also able to provide effective substance abuse treatments for patients with an addiction to heroin. 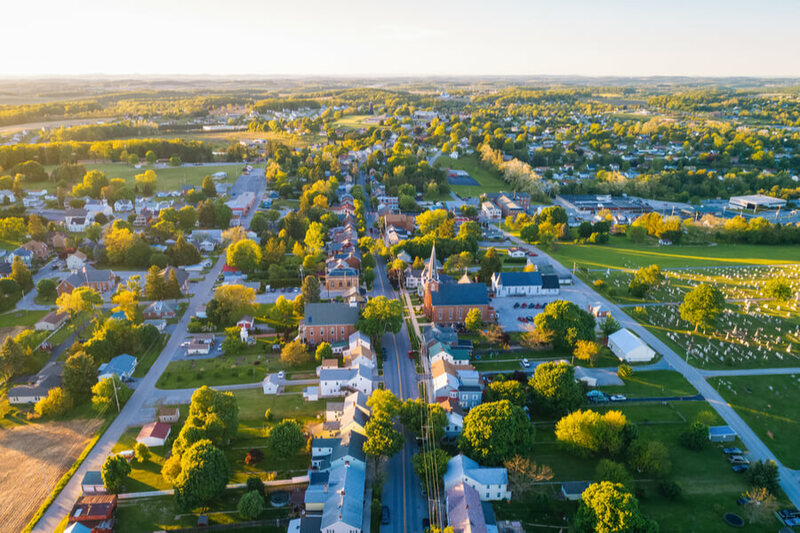 The MedMark Treatment Centers group was first established in 2006 and has since extended their service offerings to numerous locations in Pennsylvania, and they have now helped thousands of both men and women recover from opioid addiction. The group was initially founded by two individuals, one of whom includes an attorney and the other a medical entrepreneur. Patients who require medication-assistant treatment for their opioid addiction at MedMark Treatment Centers need to understand that these facilities do not provide any type of inpatient or residential programs. Instead, all of the treatment options that are available from this group of treatment facilities are designed to provide an outpatient care setting. Thus, no housing is provided by these facilities. All facilities are equipped with basic offices where patients can be assessed and where medication can be provided to the patients once they have been admitted to any of the outpatient services offered by MedMark Treatment Centers. Patients are required to go home (or to work if they are working) after they have received their treatment and then report back to the center where their treatment is administered according to the schedule that will be provided to them. MedMark Treatment Centers offer specialized services that have all been tailored to assist patients in recovering from an addiction to opioid-based substances, which include heroin, as well as painkillers. All of the programs that have been developed by the medical staff that drives these centers to provide medication-assisted treatment, where alternatives to opioids are provided to patients in order to help them stop opting for the drugs that they usually turn to, whether for pain or recreational purposes. Patients need to meet a set of minimum qualifying criteria before they will be offered treatment at any of the facilities that MedMark operates. This includes being over the age of 18 and having proof of an opioid addiction being present. MedMark Treatment Centers accept certain medical insurance plans, which may cover the costs of treatment provided by the group of facilities. The center has networked with federally-funded insurance programs, including Medicaid, to provide quality care for patients with opioid addiction. Not all facilities do accept payment through health insurance plans, however. No specific data is provided by MedMark Treatment Centers in regards to which facilities accept insurance plans and which ones only accept cash. Patients are able to pay for the treatment received cash or through a money order. The facilities also accept credit card payments. Patients should reach out to the center that is closest to them to determine if they accept insurance cover, and to find out more about the pricing details. The majority of the treatment programs for opioid addiction offered by these centers are affordable. Patients are usually billed approximately $400 for a 30-day outpatient treatment program, which gives them access to counselors and therapists, as well as appropriate medication that is used to help them stop using opioids. The only licensing information that MedMark Treatment Centers share on their website is in regards to accreditation that they have been awarded by CARF, a non-profit organization that evaluates addiction centers in the United States. This organization only awards accreditation to centers that can prove their value to the community in regards to the provisioning of treatment services that target substance abuse disorders. In addition to ensuring staff has access to medication that can effectively assist in the treatment of opioid addictions, MedMark Treatment Centers also offer trained staff members that can offer supportive care to every patient who is admitted to the outpatient treatment programs that are offered at these facilities. This includes a number of highly qualified psychiatrists and counselors, as well as access to group therapy, all of which have been developed to help the patient overcome their substance abuse disorder. The MedMark Treatment Centers website does not offer any details that help patients understand who the staff is at the facilities that offer the treatment services. No data on the medical staff or licensed nurses are provided, and there is no information related to the management team or leadership team that develops the programs that are provided to patients who present an opioid addiction at the MedMark Treatment Centers. Patients who do find this particular factor unpleasant and who wish to learn more about the staff members are advised to visit their nearest center, where they will be greeted by admission staff, and a full evaluation can be conducted to determine whether or not the patient qualifies for the outpatient opioid addiction treatment services provided.